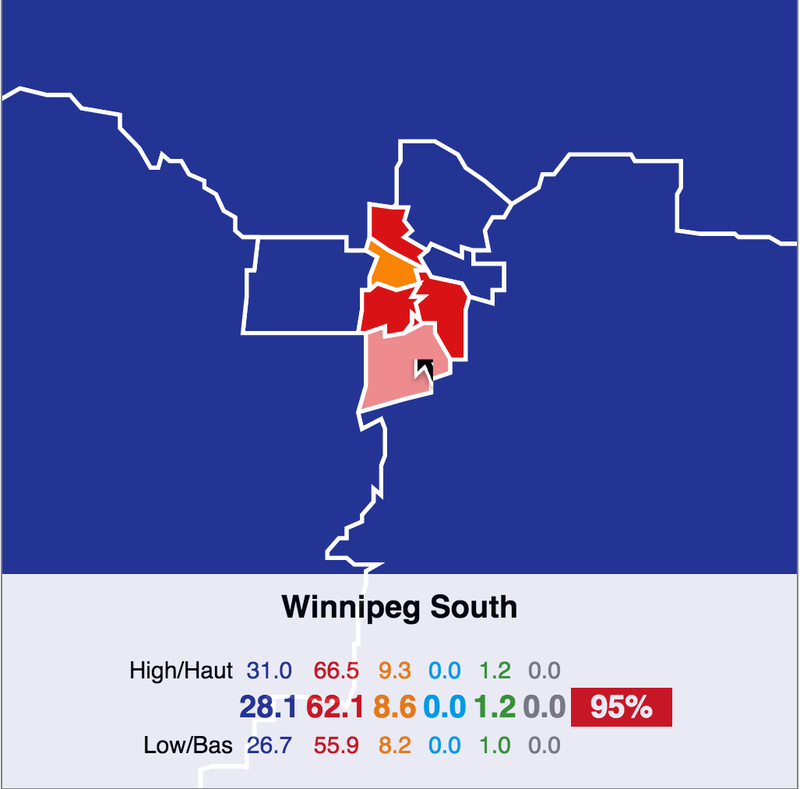 Winnipeg has become an important battle ground in the recent election. In the last election, in 2011, six of the eight ridings that include part of Winnipeg went Conservative. In five of these, strategic voting could make a difference. CPC incumbent Rod Bruinooge is not running. again, strategic voters should back the Liberal.